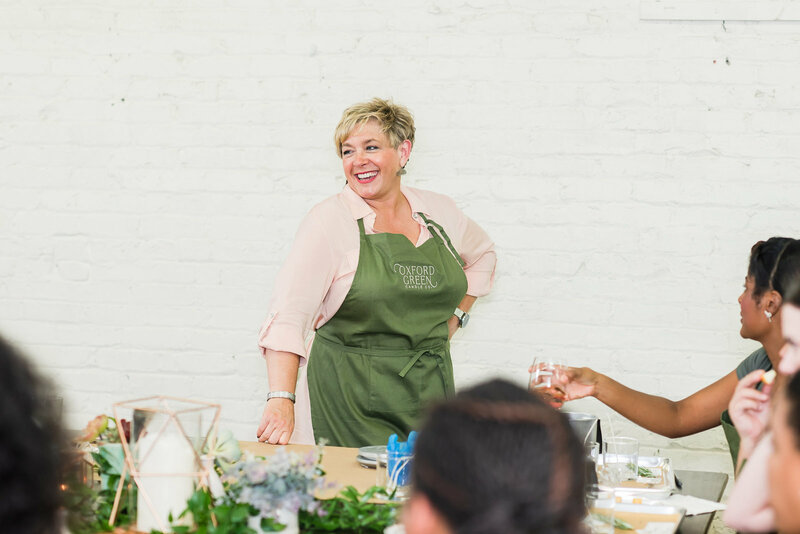 Because pouring candles is my passion, I want to bring you that same excitement with the NEW candle workshops!! 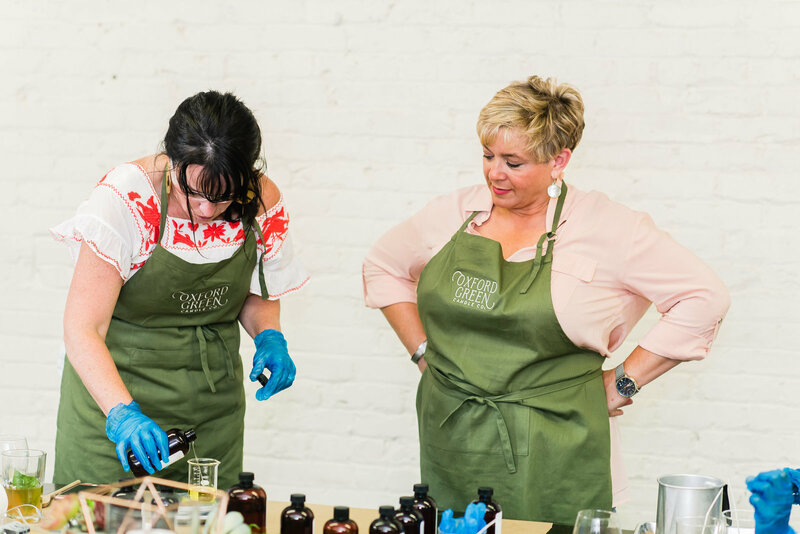 The BYOB workshops are a fun time with a friend, a date, or your significant other to enjoy a few hours together creating a SCENT experience. 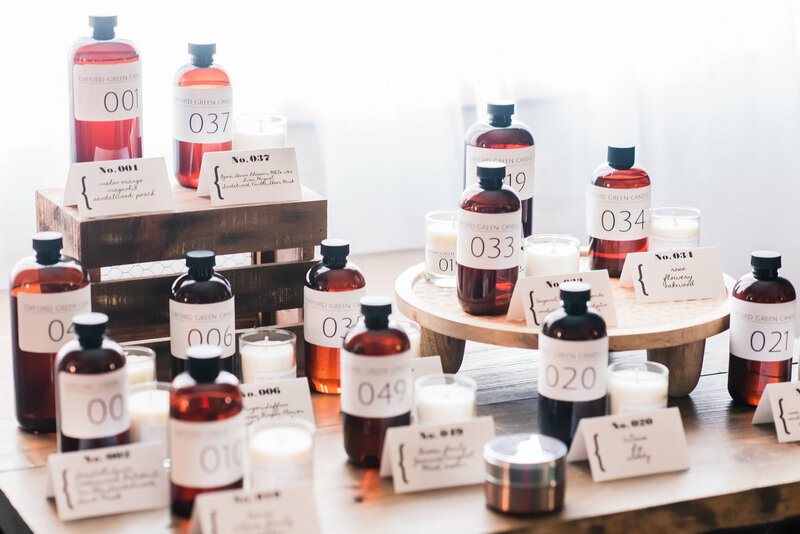 You will select your fragrance from 20 different scents to create your candles. 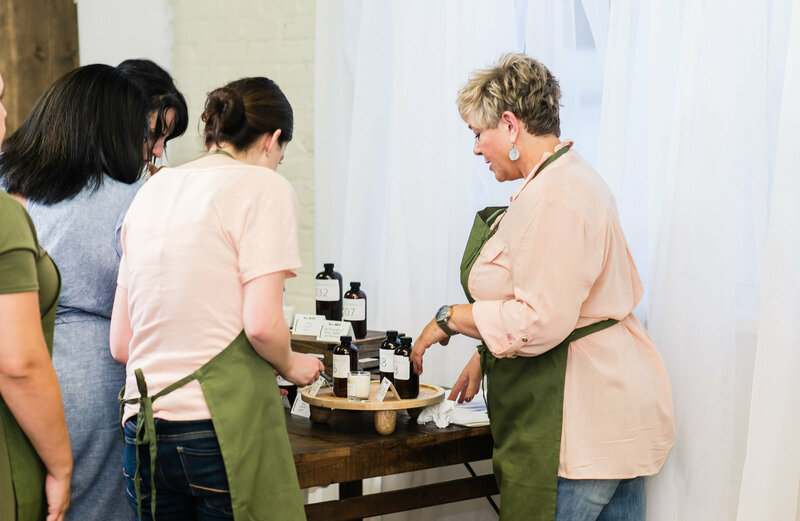 From each workshop, you will take home 2-9 oz. jar candles that you made together. It is a great way to begin your evening or a memorable time in your life. 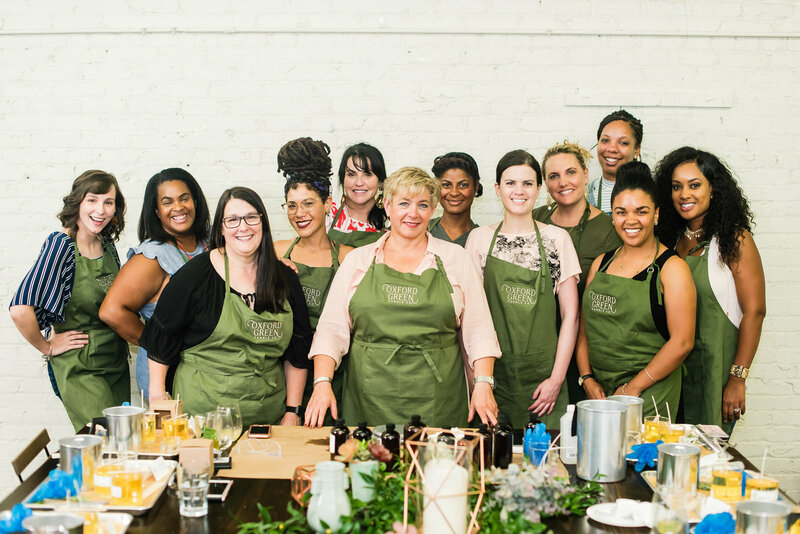 Larger groups may also book a workshop; bridal showers, birthdays, ladies' groups, office staff, or for any occasion. 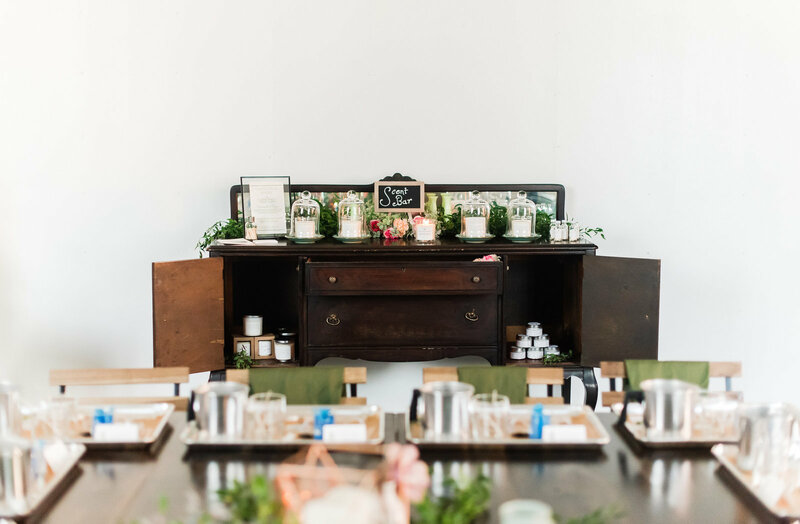 Workshops can also be brought to your home or workspace!! Workshops take place in several locations around the Area. Visit our calendar to find the closest location to you. 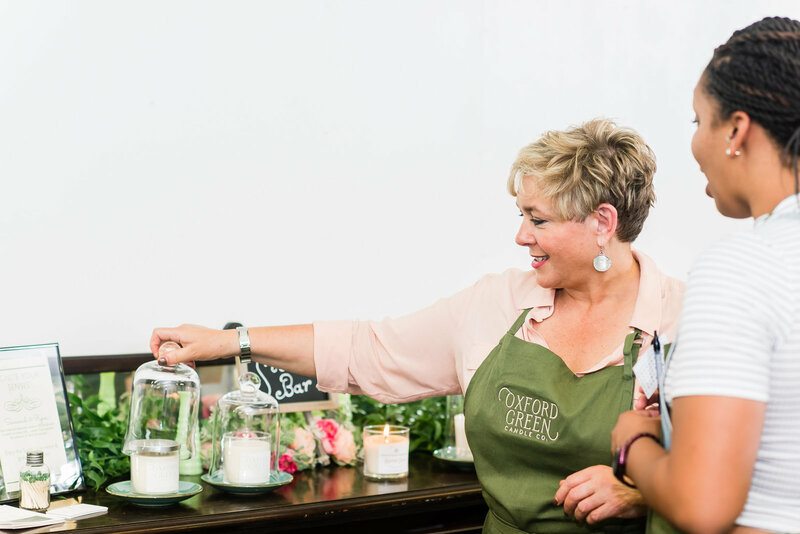 Workshops at Oxford Green Candle co. are designed for adults, unless otherwise indicated, (15 and older). 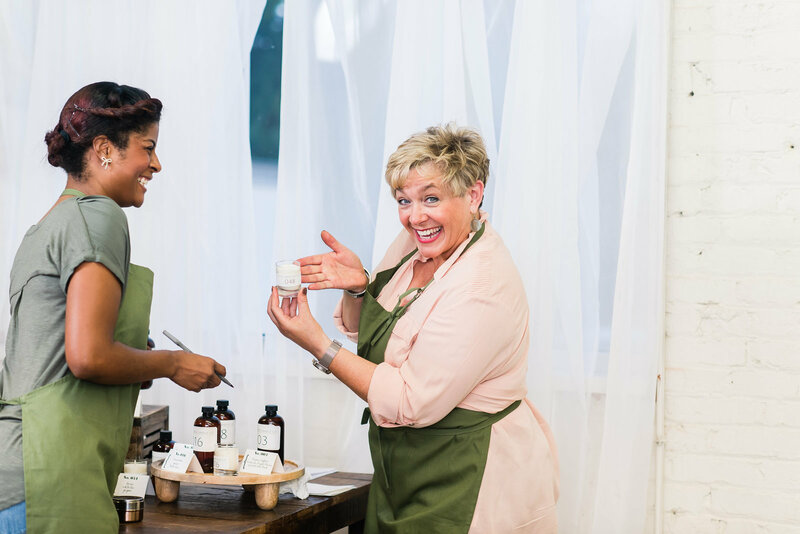 Because our candle workshops are BYOB, involve hot wax, and are intended for adults, we aim to create an adult friendly atmosphere. Please contact us with any questions. We understand things happen and you run late from time to time. Although we won’t give you a tardy slip for being late to class, please be aware that classes start promptly. Please arrive promptly to get settled, pop those corks, and mingle with your new friends so we can start on time. 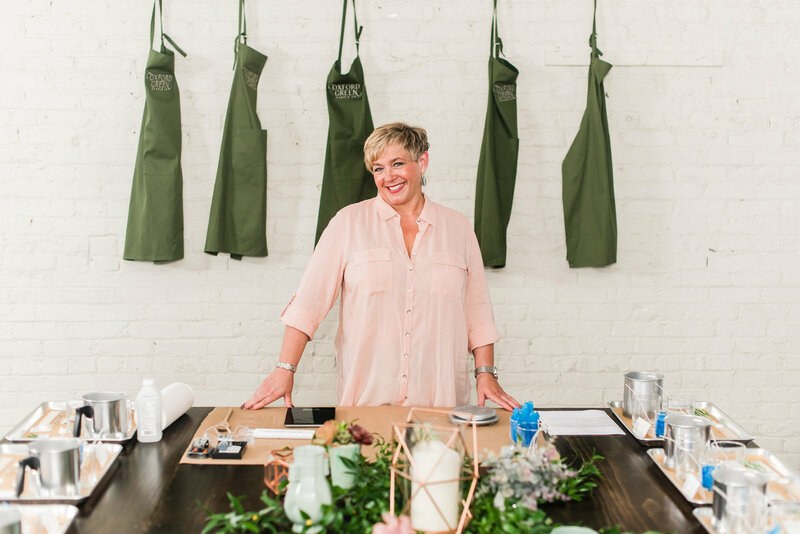 If you are going to be late*, please call the shop ahead of time and let us know, otherwise we may begin the class without you and we don’t want to do that! This policy is in place mainly out of respect for the other class participants, and is also due to our shop staffing. In the event that something comes up and you need to change your workshop registration, we are happy to work with you to find a more suitable workshop time. 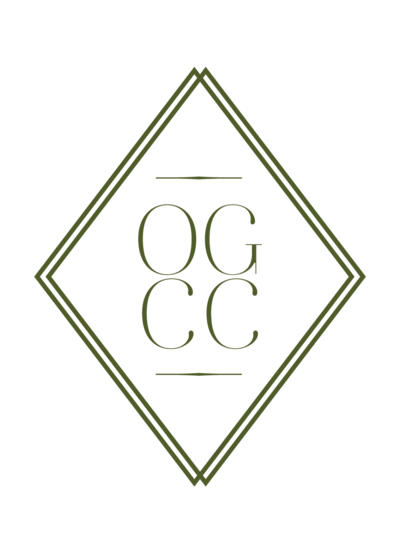 Please contact Oxford Green Candle co. directly by phone or email and we will be happy to assist you in this process. We will be in touch soon soon. Please note, our business hours are Monday through Friday, 9am-5pm EST.